Welcome to the new EGB website and Forum! Dear Friends and Colleagues – welcome to the new EGB website and Forum! Just in time for the run-up to the EGB Symposium and The Holy Grail Guitar Show this fall, the new EGB platform has finally come online. First, and above all, a big Thank You to our webmasters - Jacco Stuitje and Sander de Gier put a lot of effort into making this a reality! The creation of this site is an excellent example of what we envisioned the EGB to be, when we first came together. The EGB is a community, and as such it depends entirely on the participation and the voluntary contributions of its members. Jacco and Sander stepped up and offered their skill and time to realize this project. Well done!! I very much hope we will honor their work by making good and frequent use of the website and the new Forum. Thank you again, Jacco and Sander! Last year was all about the first Holy Grail Guitar Show. The EGB agenda had to take a backseat to this major effort - but I think it paid off handsomely. The Show was an unqualified success! Lots of visitors, good media attention and coverage, quite a few sales. Above all the spirit present during the Symposium and the Show was very gratifying - I think both visitors and exhibitors had a great time - and I have to say, I was very impressed with the quality and originality of the instruments on exhibit! Great work, everyone! It was a truly historical occasion. Work on the next Show has started already. This coming year we have the advantage of our experience and also of being able to start much earlier with the exhibitor selection process, giving builders a head start on preparing instruments for the Show. We will shortly announce the date and other details and should soon be able to open the application process for a spot at the next edition of the HGGS. Please remember - this is an invitational show. Obviously it would be great to be able to offer everyone who would like to participate a table, but unfortunately that will not be possible. One thing which became quite clear during the last Show is that FEW people seem to take the time to read our communications - there were some misunderstandings because of this. So please read what we send out carefully - it is in your own interest! The primary goal of the Show is to promote the handbuilt guitar in general - to raise awareness among the public that there is a great alternative to the factory-built instruments, and to expand the market for our creations. In this way the Show will ultimately benefit ALL guitar builders, not just the ones exhibiting. To make it a successful show we have to offer the visitor and the media a varied and interesting mix, and feature both well-known builders and newcomers. New exhibitors must also have the chance to show their instruments. We now also hope to have time and space to work on the EGB agenda - there are quite a few projects and ideas about what the EGB can do for the luthiers' community. Over the next few weeks I will present some of these ideas and I would also like to invite those of you who want to contribute or have suggestions to let us know. During our General Assembly at the Symposium we decided to create the post of an administrative director to coordinate and be in charge of these activities, so that we can build a viable infrastructure and maintain it. One of our projects is to create acomprehensive calendar of guitar shows- there are quite a few out there and the opportunities to exhibit are not in any way limited to the HGGS! 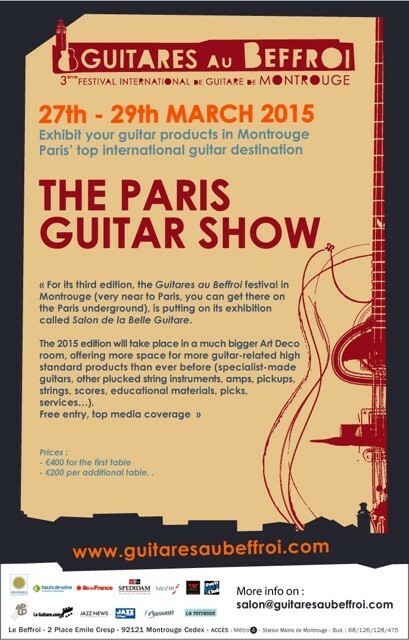 Here's "Guitares au Beffroi" that will take place in France in March! 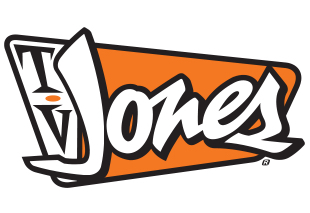 The Guitar Business is Changing…. 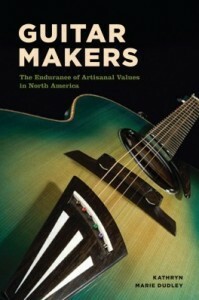 The new book Guitar Makers by Yale professor of anthropology Kathryn Dudley is a must read for anyone working in the field of guitar building. She touches on and explores a lot of the themes and concerns which have led me personally to work on/for the creation of the EGB. Having experienced the American luthierie scene and the way guitar builders there view their work and life in the context of a community, sharing information, helping each other, I was surprised by how different the situation is in Europe. Born out of the spirit of the late '60s, with more than a tinge of hippie idealism, the roots of American modern lutherie are far from the European model, grown out of the medieval guild system, with its mistrust, secrecy of methods and territorial angst. One of the main misson objectives of the EGB is the fostering of a community, of creating a platform for this spirit and of helping guitar builders navigate the rapid changes happening today, on so many levels. Much of this is addressed here - essential reading! Here's an interview with Kathryn Dudley about the book. There might be some of you out there who have such a dictionary in one language or the other. If so, please share. We will collect them and assemble a master dictionary. I will also publish a list of terms in English we would like to have translated and would be grateful to receive your feedback and translations. We will then publish this dictionary on the EGB website as a resource for all. Summer is upon us and I noticed that we haven't posted anything here in a long time! We are still very busy with the Holy Grail Guitar Show preparations, and we've neglected the EGB agenda and site a bit in consequence. I'll try and come back to it more often - we are continuing to welcome more members (again, we might be a bit late in posting them here, due to the HGGS work load). As the show preparations hopefully will steer into calmer waters now, we can come back and work on the EGB agenda again. CITES among other things has become a topic we want to address - the travel associated with the show has shown us the necessity for good up to date information about regulations, resources and where to go with questions. The show. We're just coming up for air now - the exhibitor list is pretty much complete and we're full. We are looking forward to welcoming more than 110 luthiers to Berlin! We started out with thinking of maybe 50-80 max, but it has grown, not to say exploded! This will be one of the largest boutique shows in the world, and certainly a first for Europe! We are now focusing on PR and on getting the details for the show nailed down. You may have visited the new show website (thank you Emma and Juha for the mad effort in getting it out!). If not, go there and check it out - it will have updates and the full program for the show. Kora is doing a great job with the facebook luthier profiles and Tania is juggling everything behind the scenes. I will post background information here, about the show concept and the EGB Symposium on Friday (which will not be open to the public and is therefore not mentioned on the show website). So please stay tuned and come back often - we have discontinued using the newsletter due to spam problems - so this will be the place to get updates! we are now well on our way to make The Holy Grail Guitar Show 2014 in Berlin a reality! We are proud to have come this far and confident that we will succeed in making this a great Show, and hopefully only the first of many to come. There has never been such a Show in Europe - a Show designed to showcase the handmade guitars luthiers around the world, and especially in Europe, are producing today. All of this has been a learning experience. This is our first Show as organizers and in the past few months we have learned a lot about what goes into putting on such an event – the complexity of details, bureaucratic hurdles, the financial juggling on multiple fronts. We have also found that organizing an event such as this for the first time poses unforeseen challenges and sometimes requires adjustments to the course. One thing that soon became apparent was that the EGB and the Show have to be separate things. Originally EGB membership was required to participate at the Show. It quickly became clear that this was not a good way to do it – so now the Show is open to all qualifying luthiers. It seems that there were (and maybe still are) some misunderstandings and misconceptions about what the EGB is and about the workings of the Show. Some of it is the inevitable language problem we face, some of it is our failure to communicate clearly, and - not the least – people are not properly reading what we send out! Looking at some of the feedback we have received from some of you over the past few weeks I have decided that it is necessary for me to provide an account of our activities. I believe it is important for us as EGB to be as transparent as possible in our actions and our intentions. When we first decided to launch this project, on a rooftop in Montreal in 2012, it seemed a far away goal, not much more than an idea that had been kicked around among us and other colleagues for years. But on that summer night a core group of luthiers emerged, willing to step up and do the work to make it happen. I invited them to come to Vienna, to sit down together and take the first steps towards making this a reality. During our Vienna meeting we talked about what we felt would make a great Show from the standpoint of the small independent luthier. We defined the principles and the philosophy guiding us in the organization of the Show and we founded the EGB, the Association of European Luthiers, as a vehicle for organizing the Show. We decided to name it “The Holy Grail Guitar Show”. The quest for the “perfect guitar” has driven builders from all over the globe over the years. It has spawned countless interpretations, variations and approaches to an instrument of unparalleled versatility. This is an invitational Show. Exhibitors are selected. Originality and quality are important criteria for selection. It is an international Show, with the main focus on Europe. No one country will dominate. A balance has to be maintained between the respective nationalities. 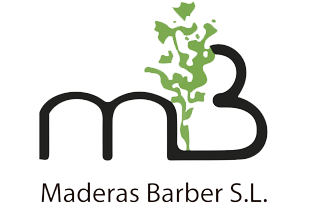 It is a showcase for professional luthiers. 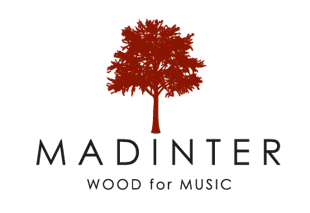 Handmade instruments crated individually with excellence and dedication. First of all, we needed to spread the word, to contact luthiers everywhere, to alert the media. Our first official event was the Press Conference in November 2013 in Berlin, where we announced the formation of the EGB and our intention to have the Show take place in Berlin the next November. A small number of builders from several countries joined the founding members for this. Originally we had planned for about 15 builders to attend but as more countries were added we ended up with 20. It was a test run also, to see if we could handle such an event. We now had to find out what such a Show would cost. We wanted to make it as affordable as possible. The Holy Grail Guitar Show is not designed to create a profit, but to cover the costs along with a margin of safety. We had to find out if we would be able to attract enough exhibitors to support the Show before we could sign a contract with a venue. A complex budget needed to be created, balancing the need to have enough people to finance the Show while at the same time limiting the numbers so we could still properly manage it. The risk involved meant we had to take it step by step. First we sent out a pre-register letter, to gauge interest among potential exhibitors. It seems that some have understood this to be their application or even their acceptance as exhibitors. This is not the case. The number of positive responses gave us the confidence that we had a shot – and showed us the desire and need among fellow luthiers for such a Show to happen. The next step was sending out the application itself. A positive response by the luthier to this means that the applicant will now be considered as potential exhibitor. A selection among these applicants will be made with a view to the criteria we have established. We have tried to make it clear at every step that, as much as we regret this, it will not be possible for every applicant to exhibit at the first Show! We very much hope that in the future we can expand the Show and offer more builders the opportunity to exhibit. We will have around a 100 exhibitor spots available this time and we have sent out over 300 invitations. Applications will be kept on file for the next year’s Show. The official deadline for applications has now passed. But we have decided to accept and consider further applications, as we can see that many builders we had initially invited have misinterpreted how the process works and have assumed they were already registered as applicants. This is the first “Holy Grail Guitar Show”. We want to establish the Show as a prestigious event, showcasing top talent from around the world and featuring a great variety of interesting builders, to attract visitors and luthiers for years to come. Our first priority is to make sure that this Show will be a success so we can continue and make it a yearly event. Selection will take into consideration the luthier’s professional standing and the quality and originality of the builder’s work. An important criteria will also be which country the luthier comes from, in order to proportionally “share the cake” among the participating countries. There will be a waiting list for any spots which should open up due to circumstances. Also, all applications submitted will be considered for spots at future Shows. 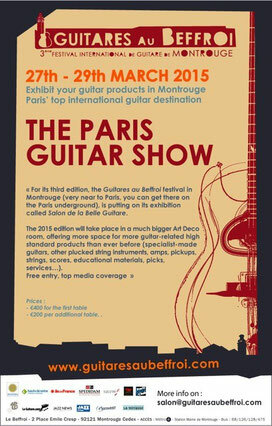 If a luthier is selected for the Show we will send her/him a contract and a handbook with details about the Show. Once the contract is signed and the deposit paid, the spot at the show is confirmed.